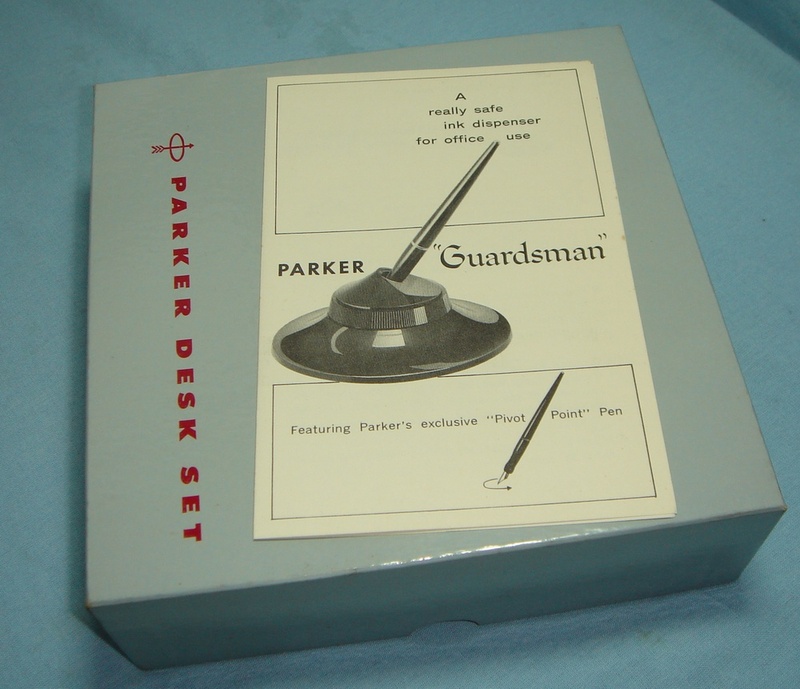 I have a question for the Parker historians out there. Check out this ebay listing. 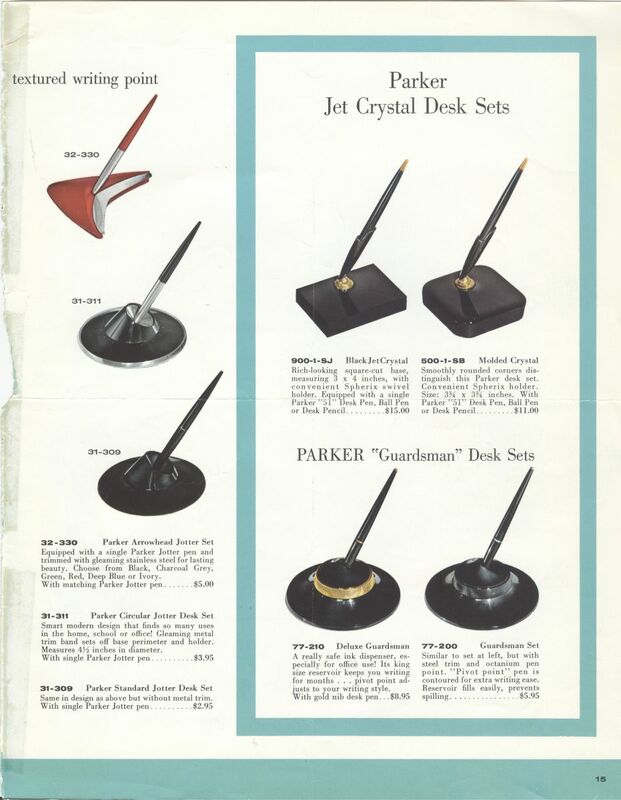 In the third picture you can see that the accompanying brochure says the set features "Parker's Pivot Point Pen". Have you all heard of this before? Is it a predecessor to the VP and 75 families? These dip pens crop up on ebay occasionally; this is the first I've seen w/ a base. The section resembles a VP, but they have a traditional open nib. I think they came with either octanium or gold nibs. 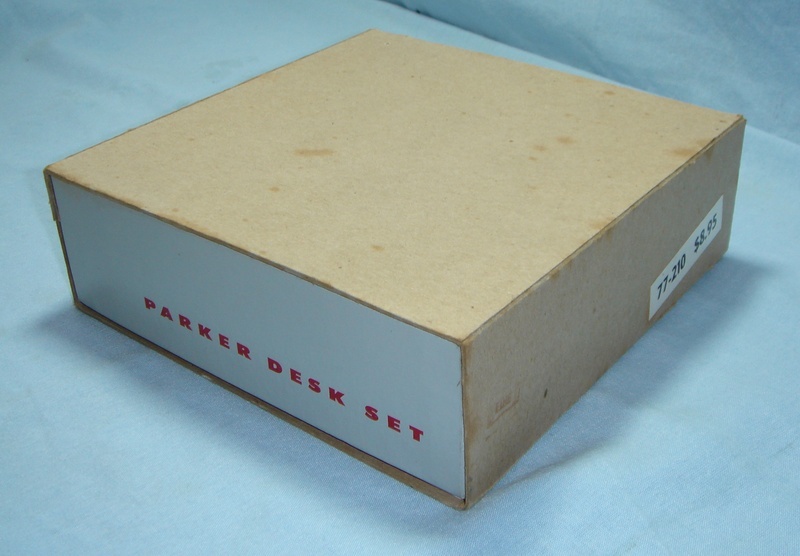 We need Francis "parkercrazy" Meinhardt to weigh in - he probably has a catalog page. Thanks I have one on the way. I'll follow up with details once it gets here, should be by the weekend. Turns out the seller got ten of them, all boxed and unused in their original shipping carton. Why don't I find things like that at estate sales? Well, I have the pen and I find it quite interesting. It has a molded grip like the VP and early 75s, but more exaggerated. It has numbered index marks similar to a VP, but they go all the way around the section. 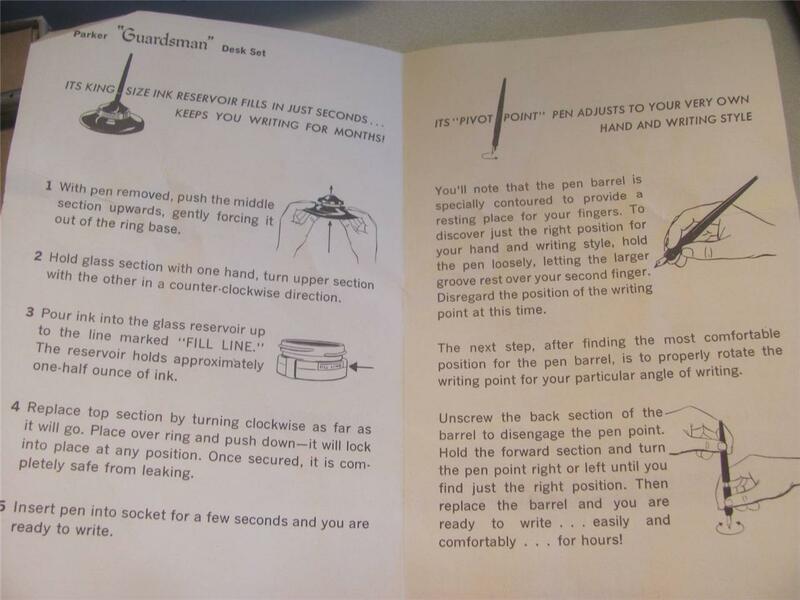 To rotate the nib you unscrew the section which frees up the nib. The 14k nib is fine and stiff. The base is advertized to be spill proof. 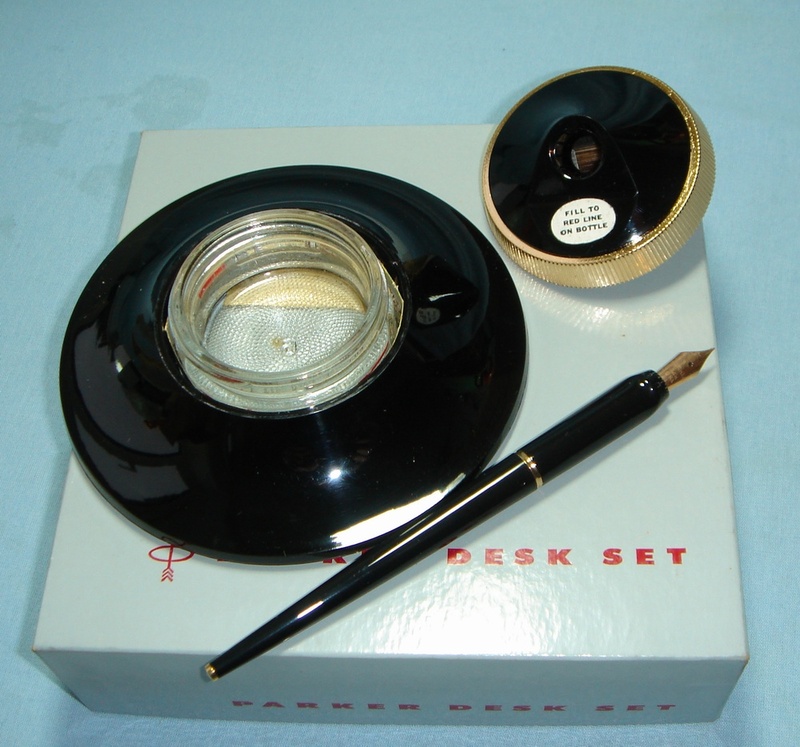 It seems to be using capillary action to get ink from the well to the pen. 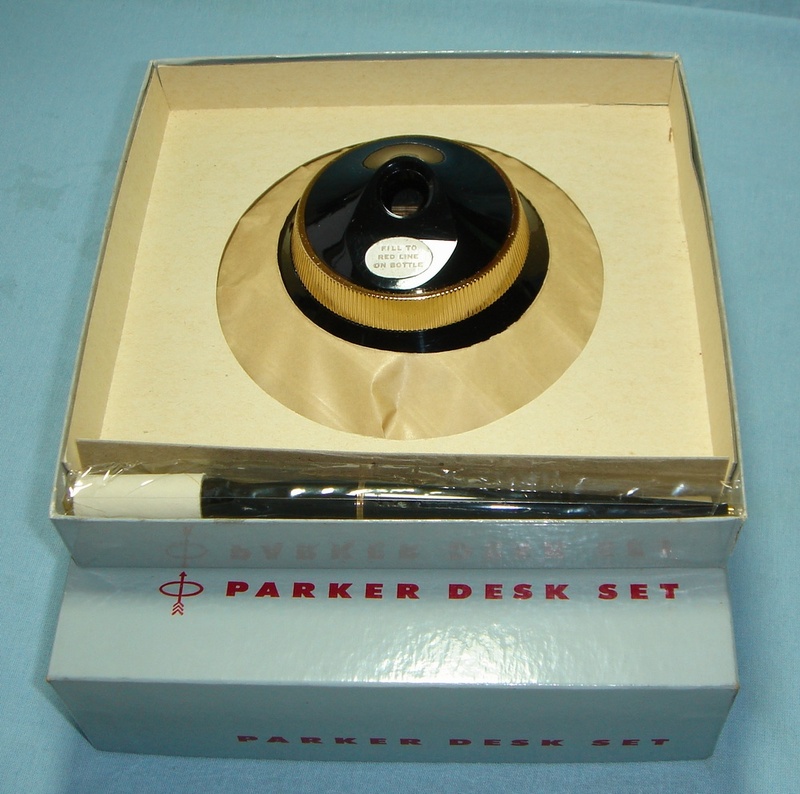 It sure looks like the 1960 date could fit, but I am surprised to see dip pens that late, especially as a desk pen. I may be trying to justify the purchase to myself, but it seems to include elements that would shortly turn up in the VP and 75 and were already in use in the 61. Bought one of these in 2011, thought I would share the pics here.